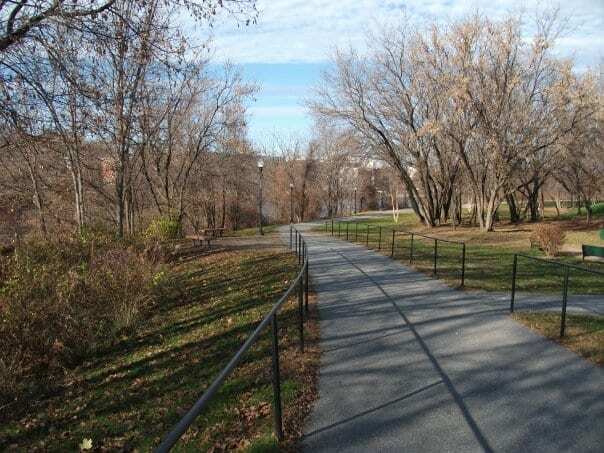 Simard-Payne Memorial Railroad Park is home to the Annual Baxter Brewing Brewfest, Annual Great Falls Balloon Festival, and the Annual Dempsey Challenge, and serves as a community space for fitness, picnicking, and other outdoor activities. A paved trail follows along the perimeter of the park, crosses the pedestrian bridge, which was once a railway bridge and leads into Bonney Park in Auburn. Once in Auburn, the paved trail known as Auburn’s Riverwalk Trail, continues along the Androscoggin River toward the Great Falls. Directions: Simard-Payne Railroad Park can be accessed via the Riverwalk trail in Auburn or from Oxford Street in Lewiston. The best place to park for access to either side of the trail is on Main Street in Auburn or on Oxford Street in Lewiston.